A tranquil kayak ride accompanied by the lapping sound of the waves and intense colours - from the black, evidence of the island’s volcanic origin, to the colourful corals and fish populating Byahaut Cove, where we can go for snorkelling to fully appreciate the charm of Saint Vincent. We leave the port behind us and travel along the south-western coast as far as Buccament bay with its unique schizophrenic alternation of black sand, the original sand of this volcanic island, and the striking white sand imported from Guyana. Upon arrival, we listen to safety instructions before we are assigned our kayak. Following our guides, we paddle along the lush coast slipping through the crystal-clear Caribbean waters as far as the Bat Cave, where we can listen to the shrieks of its residents, and head out to Byahaut Cove for a swim and snorkel. Byahaut Cove can only be accessed by sea and was also the set for the film Pirates of the Caribbean. We admire the black cliffs overflowing with jungle creepers, frangipani and cactuses while warm waves hit the rocks. 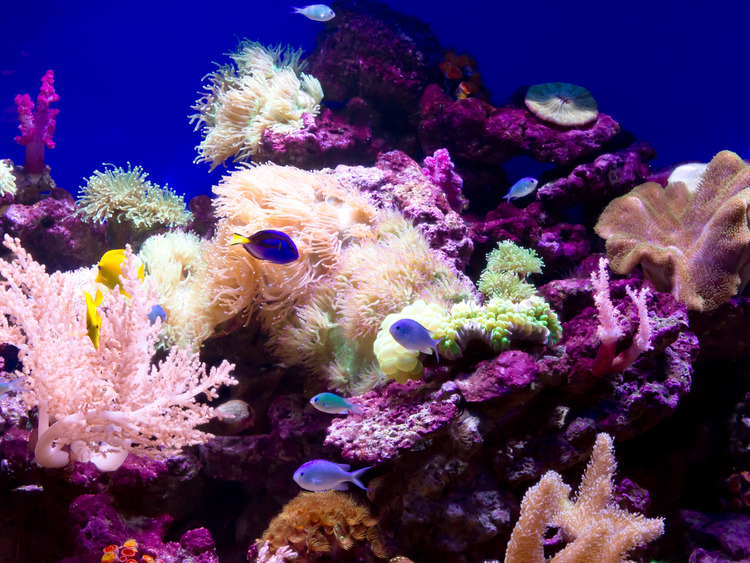 The spectacular coral reef is home to a myriad of plant and animal species such as yellow or orange tube sponges, purple sea fan and shoals of colourful fish. Finally, we return to Buccament bay on our kayak before heading back to the port of Kingstown.